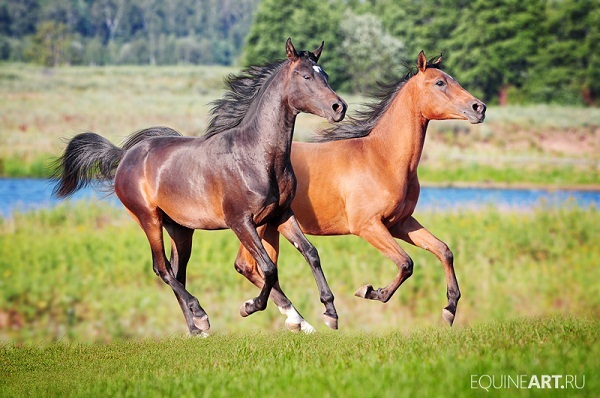 The American quarter horse is the number one most popular breed in America. There are more than 5 million quarter horses registered in the world. 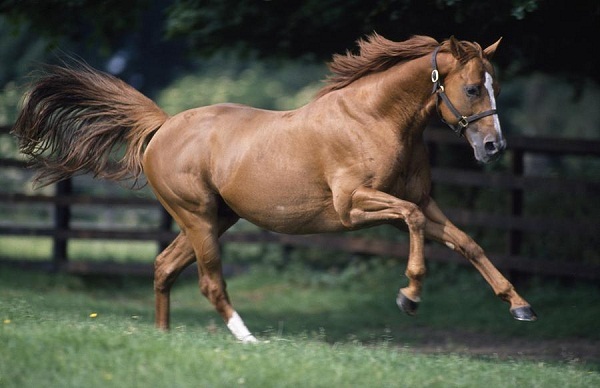 The quarter horse was bred to sprint race for short distances in colonial America. The races were 1/4 mile long, thus the name of the breed. As settlers moved West, they took their racehorses with them and made them ranch horses. Today, quarter horses are still used as ranch work horses as well as race horses. Rodeos riding, English events, and even driving disciplines have taken off in the quarter horse world. There are several different quarter horse body types, and they come in almost all colors imaginable. 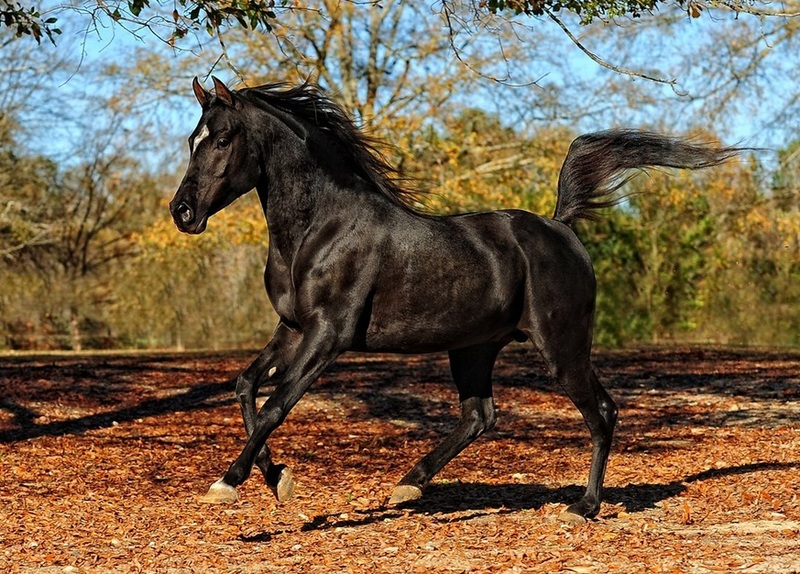 The Arabian is thought to be one of the oldest known breeds of horses. 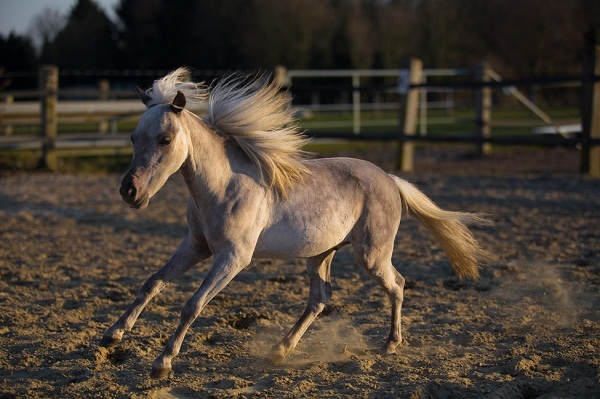 Arabians are very recognizable with a high set tail, arching neck, and concave head. The Arabian breed originated in the Middle East thousand of years ago. The Bedouin people domesticated Arabians. Because Arabians originated in such a harsh desert climate, they are tough and make wonderful endurance horses. But Arabians are all used in all English, Western, and driving events. Arabians are gray, bay, chestnut, black, and roan. All arabians have black skin. Thoroughbreds are known all across America as the great race horses. These hot-blooded equines are known for their agility, and speed that makes them such good racehorses. These horses were first brought to North America from Britain in the 1700s. 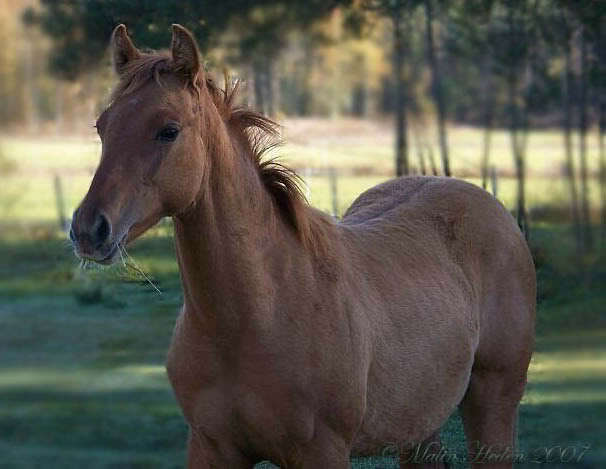 This breed was the foundation for the Quarter horse. While Thoroughbreds are great racers, they are very popular in the English show ridding. Jumping, dressage, fox hunting, and polo are just a few of the areas where they excel. Thoroughbreds can come in many different colors but rarely have white on their bodies, except for leg markings. The American Paint horse is the second largest breed registry in the US. Paint horses are bred from quarter horses and thoroughbreds and are known for their spotted coat patterns. Paint horses are sometimes confused with pintos. While these two breeds may look similar, they are very different. Paint horses are bred not just for color, but also for stock-horse type build. Pintos are bred only for color and can be based on any breed. Paint horses come in several different coat patterns the most popular being Tobiano, and Overo. 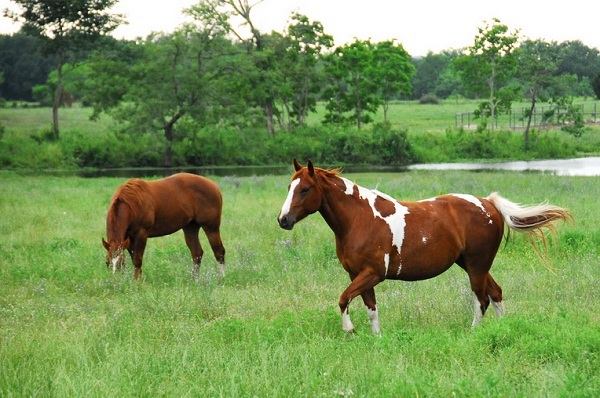 In addition to these spotted markings, some paint horses can be born solid color, but still be paint horses. Paint horses are very versatile and used in all disciplines of riding. The miniature horse is a very small pony, but still considered a horse breed. These tiny equines are no larger than 38 inches high. Some breeders like their minis to have a stocky pony-like build, and others have more refined horse-like features. Miniature horses come in all colors, and styles and although they can only be ridden by very small children, they are showed in lots of other ways. Jumping in hand, driving, and halter classes are just a few of the things minis are great at.